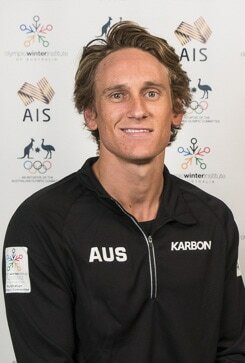 Nathan (Nate) Johnstone has a distinguished career as Australia’s first Snowboard Halfpipe World Champion (2011), an Olympian (Sochi) and multiple World Cup gold, silver and bronze medallist since 2008. Johnstone, whose childhood dream was to become a professional snowboarder, competed in his first World Cup in lake Placid, USA in 2006. His first visit to the podium was March 2008, in Stoneham, Canada in the third World Cup of his career. The Perisher rider then collected two silver medals and another top-ten result from the six World Cup events he contested in 2008/09, finishing the season ranked number two of the FIS World Cup. A broken ankle forced him out of the Vancouver Olympics but he came back in 2011 to win the Snowboard Halfpipe World Championships – the first Australian to do so. His followed his Championship win with his first World Cup gold in China, a silver in Canada, a second gold in Italy and ended the season as the overall number one on the FIS World Cup standings. Johnstone had one of the biggest wins of his career in January 2012, winning gold at the prestigious Copper Mountain, USA, World Cup/Grand Prix event. Competing in his first Olympic Winter Games in Sochi, Russia, in 2014, Nathan missed out on advancing through to the finals, finishing in 13th place. In 2014/2015, the highlight for Nathan was placing 11th at the World Cup/US Grand Prix event in Park City, UT, USA. Johnstone had three top-ten World Cup performances in 2015/2016 (placing 7th, 8th & 10th) but the personal highlight of his year was the birth of son Louis. In the past season (2016/17) he has competed in four World Cups with his best placing of 11th and the World Championships in Sierra Nevada – coming in 14th. He has competed in 31 World Cups to date in his career, with four gold, three silver, one bronze and a further nine top-ten places. Best sporting memory from 2016/17 season: One of the more special moments was having Emma and Louie ( wife and son) at the US Open in Vail to watching us compete. I began Snowboard Halfpipe in 1999 when I was ten years old because my dad was my dad was a really keen snowboarder and loved going to the snow so he dragged me and my sister along. I enjoy my sport because it has allowed me to travel all over the world and pursue my joy.